Owens Nutrition Ltd are a respected independent family run rural business with a proud reputation, gained over the past 25 years, for service, quality, technical support and competitive pricing. 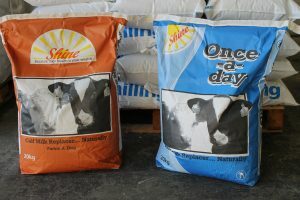 Our range of feed buckets and mineral licks we keep in stock from Owens Nutrition. All of the buckets above are 20kg and kept in stock. 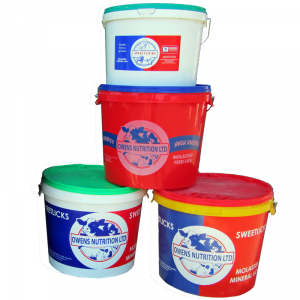 100kg buckets are available to order. Discounts for orders of 25 or more buckets and pallet rate. Please call the office for a price. The well respected Shine range of milk powers for collection or delivery. 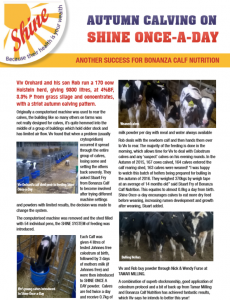 Once a day – The pioneer of once a day feeding and with butter and skim milk powder, it can be fed with water or milk to reduce your work-load but not compromise the calf. Twice a day – Your flexible friend for twice a day and machine feeding, containing butter and slim milk powder. No other powder can match the benefits of feeding Shine. Designed for maximising growth with high index calves. Calves can be pushed to ensure high performance from day one. 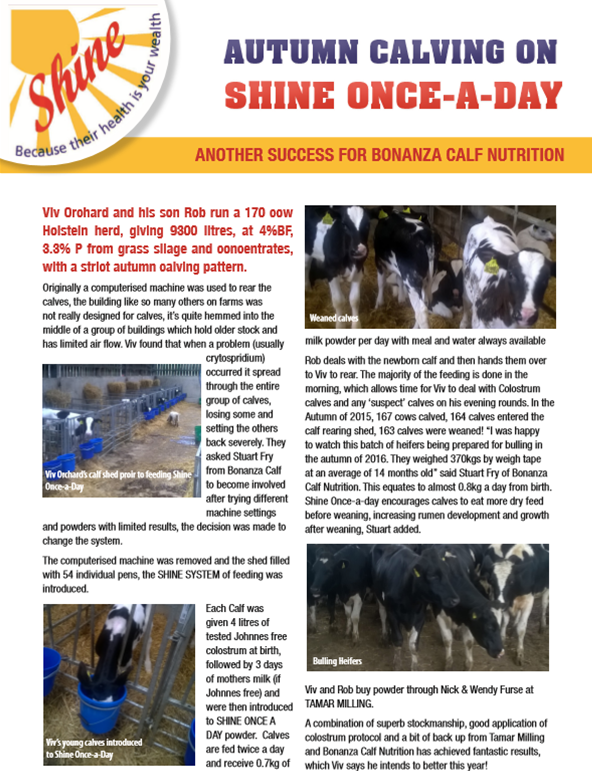 Transformula – Designed to take calves from clostrum to day 10 where there is high disease challange. Contrains – Anti cryptospirridum product (replaces halocur), Anti rotavirus ( to help vaccination) Anti Coronavirus (to help vaccination). Contains specific proteins designed to boos the calves own immunity. Shine Lamb milk – The only lamb milk powder made with ewes milk and suitable for bottle feeding or adlib feeding. Unlike cow’s milk shine lamb milk contains antibodies to specific sheep diseases that will help to keep orphan lambs healthy. 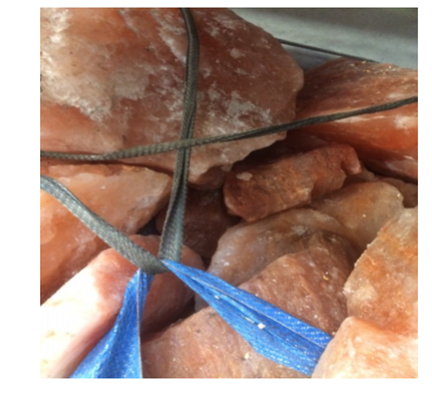 We keep a range of minerals in stock. Minerals can be purchased individually or per pallet. We stock minerals for Calves, Youngstock, Beef, Sheep, Dairy, and Precalver. Let our mineral experts check you are getting value for money. You may be surprised by the savings on minerals. Currently the raw material market is depressed. Have you had a reduction in the price of your “special Mineral” recently? Let us quote like for like to ensure you are getting value for money. Following some very promising work on the Somerset levels last winter we have trailed this new product locally with good reductions in bird activity reported. Containing volatile polysulphides which irritate the digestive system of bird but harmless to ruminants. It needs to be accurately mixed with the starchy feeds in the diet and is most effective when added to feed in the mill. With the colder nights and high humidity of autumn comes the increased risk of virus pneumonia. We can add clear breathe to calf and cattle feeds. It is a mix of garlic, cider apple vinegar and other aromatics to clear airways and reduce irritable coughing which can lead on to more serious respiratory disease. Our medicated feed line has been really busy since it got up and running in mid October 15. We have recently had a mill visit by Zoetis the distributors of Deccox who let us have a really useful inclusion rate calculator. Deccox needs to be fed at a rate per kg of liveweight of the animal. Whilst we like to be comfortably “on the safe side”, we have found that in many situations the inclusion of deccox in feed has been overdosing markedly particularly in weaned calves. and occasionally under dosing growing lambs. So if we ask you a few questions like the feed rate per head /day and the liveweight of the animals fed it is to ensure we include the medication at the required rate for your system and ensures you are not paying for too much Deccox. Dairy, Cattle and Sheep molasses are available. With many 2016 silage clamps analysing with low sugars, energy and predicted intakes, adding molasses to the diet will be a cost effective option on many farms this winter. Tank finance and trail schemes available. We keep IBCs in stock and are available to customers. Full of trace elements. Excellent source of salt for livestock on high forage diets. We stock small lump rock salt in 20kg/25kg bags or large loose lumps which are as heavy as 30-40kg each. These can be sold loose. Pick out the size lumps you want and how many you want in to a tote bag and pay by weight. Both are kept in stock and can be collected from the yard at Whitstone or delivered straight to farm. Full range of biotech products from Micron Bio Systems. Free forage analysis for all of our customers.